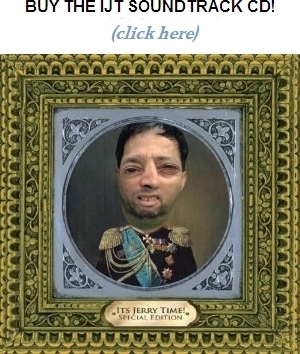 « Its Jerry Time Releases Special Edition Soundtrack CD! Its Jerry Time! announces the creation of Its English Time!, an entire eCourse, which teaches English as a second language (ESL) based on the twenty episodes from our hit web series. Its English Time! was created and is being distributed by ESL Instructor Diana Tower. The course takes our 20 animated episodes, and transforms them into 20 interactive and challenging English self-study sessions. Each unit focuses on one of the episodes and allows students to learn new vocabulary, expressions, phrasal verbs and much more in 8 simple steps. Students will challenge their listening skills by watching the videos (with and without subtitles) and studying additional audio recorded by Diana herself. What makes this course one of a kind, is that it takes real English and transforms it into an effective tool to improve one’s English. 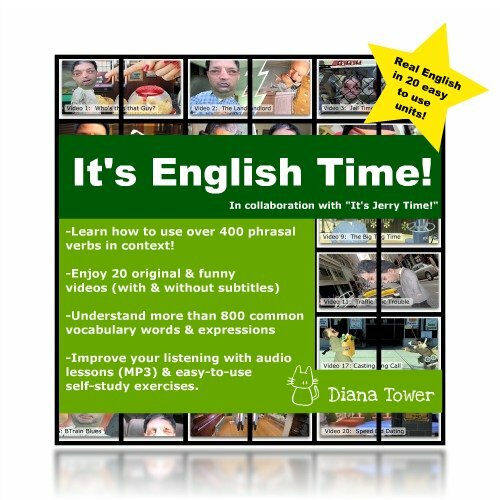 “It’s English Time” is valued at $275 (197€ ) but, for a short time only is available for $190 (137€), exclusively on Diana Tower’s website. In February, Its Jerry Time! released IJT Special Edition, the comedy background music soundtrack to the series, which is selling on Amazon, iTunes and other online retailers. This entry was posted on Friday, March 25th, 2011 at 10:52 pm	and is filed under Uncategorized. You can follow any responses to this entry through the RSS 2.0 feed. You can leave a response, or trackback from your own site. It's JerryTime! True tales from the life of Jerry. An Emmy winning webseries created by Jerry Zucker and Orrin Zucker. Copyright© 2005-2013, OZONE INC. All rights reserved. For information regarding licensing please contact Jerry. DISCLAIMER: The scenes and incidents, while fictionalized for the purposes of the stories, are based on real events. Similarities to actual people, either living or deceased, is coincidental. Distribution, transmission or republication of any material from this site is strictly prohibited without the prior written permission of ozone inc. Please keep all comments and stories PG-13. We reserve the right to edit at our discretion or use comments in any and all media in perpetuity.